At Wilkins RV we think dads need to be celebrated more than they are. This Sunday is Father’s Day. Have you purchased a gift for the dad in your life? Whether it’s a neighbor who made a difference when you were growing up, your grandfather or your actual dad, here at Wilkins RV we’ve got a ton of awesome RV accessories that are on sale and sure to keep them happy while camping. 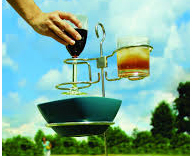 This drink and bowl holder comes with a stake to secure it into the ground and makes for a great portable “table”. Dad can prop it in the ground and enjoy his favorite chips, dip and beer while listening to the game and soaking up the summer sun. We’re offering this sturdy item for $19.99. Does dad enjoy a weekend at the lake? if so then he will love this durable, comfortable tube. 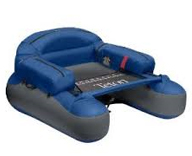 It features a hydrodynamic design for improved tracking and steering. 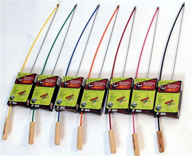 It even includes a fish ruler, in case dad reels in the big one. These poles aren’t actually for fishing. Instead, they let you cook your marshmallows or hot dogs like never before. Simply flip the jig and your food turns. These are perfect for the fisherman in your life. At $21.99 this unique gift is a steal. You might even want to pick up a few extra in case the rest of the family gets jealous and tries to take dad’s! Take the party with you wherever you go. 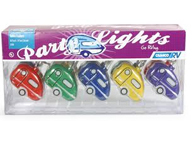 These fun party lights liven up the campsite with bright colors and help to create a festive environment anywhere. Fun colors and easy hanging make these a great gift that’s portable and only $20!